Balance Fácil || Bolsa, empresas y financiero. : Is UK needed in the EU? Is UK needed in the EU? 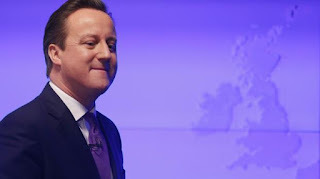 Some days ago, David Cameron has said that he does not like the philosophy of the EU. It is clear that the European Union has demonstrated to be slow and incompetent in this crisis. Cameron is reluctant to the current European running which does not back the competitiveness. He is possibly right, and we agree with him. But, there is a odd issue in the Cameron's approach. When a common citizen of the second generation citizen in the Union (Spanish or Portugeese) or further is asked about what were the settelers members of the Union most of the think then in the Treaty of Roma the UK was there. That's false. They were no there. The never was there. This World is ruled by th USA and then snatched the power from the UK along two World Wars. But despite all the precedents, USA was friendly with the outgoing boss. They became partners and major allies of the Americans and therefore, their position was comfortable. After the Germans, Italians and French decided to sing the Treaty of Coal and Steel the Americans forced, more or less, British to join after. US required a spy in the EU in spite of having guardianship of the EU. UK was the perfect spy. 60 years before UK is a kind of pseudo-member. They do not use euros and they have their own special rules... They are The City, and the Financial Power. But they has not been it always and theyu could not be in the future. The never want to be a real UE member. On the other side the UE always liked to include the historical European countries as Greece... But like Greece, the inconvenience of a member could be more determining than the weight of the History. And UK could not be needed because they have shown that they are not necessary when the UE required count in them. As bigger countries, EU members get higher trading volumes and markets are wider. Usually this is not so good as though for competitiveness or productivity. Companies are lazy when they earn pretty much. But not all is economy:What's more, it is the less important. Miserly European should realize than the most precious treasure is the peace in the warlike Continent. The UK is there as part of the politics of Cold War. Is there searching for a geopolitical balance. This is the big hurdle for Europeans, when UK moves alone is not a good thing. Last time EU let the situation be, the Americans left the Islamic oasis of Kosovo... a clockwork bomb in the heart of Europe. This time, European anticipation should be the priority. It is time for a true EU, it is time for consolidating currencies, stock markets, politics, all... And if UK wants to live alone. Ok.. Who we are to avoid it?. But peace should be always the priority.